My name is Michelle Moran, R.N. and I am excited to be your School Nurse for the 2018-2019 school year. 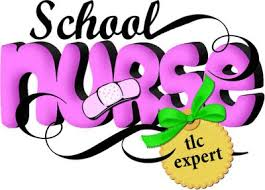 I have been a registered nurse for the past 18 years and this is my second year at Midview! I have clinics/offices in the East Intermediate, Middle and High School Buildings. I look forward to meeting all the students and families in the district. My focus this year is to keep the students healthy and safe. Remember, "Healthy Kids Achieve More!" To find more health related information, parents can visit LorainCountyHealth.com.